Talented and honest as all get out, Canada’s multimedia darling is living life to the fullest in her 50s. A clerk glances at the book on the counter and her face softens.“That’s such a great read,” says the tall, middle-aged woman with long, curly hair. The book she’s talking about is by music star Jann Arden, and it’s called Feeding My Mother — Comfort and Laughter in the Kitchen as My Mom Lives with Memory Loss. “My dad had dementia,” the clerk reveals, speaking with affection about both her loved one and the beloved singer-songwriter whose journal about mothering her mother Joan — who has Alzheimer’s — has touched people across the country and beyond. It’s a real-life story that strikes a cord with all of us. And, believe it or not, Jann started telling it on Facebook. Not wanting to feel alone or ashamed because her dad and mom were both forgetting themselves, she decided to share what was happening with the world.When she spilled the details on the social networking site, well, there was an avalanche of support from people sharing similar experiences. By the next day, her post had been viewed a million times, with 4400 comments. So, the online sharing continued, serving as a real-time record of what it’s like to care for an ailing parent and sparking the eloquent new book with its personal images and recipes. At home in rural Alberta, where for a long time her parents lived within throwing distance, Jann Arden is still letting all this sink in. “I never in a million years thought the book would resonate with so many,” she admits, noting it has been on the bestseller list since it came out last November. At 56, this famous daughter is as wry and forthright as ever. Twenty-five high-profile years in the entertainment business, 14 albums, 19 top-10 singles, over two dozen accolades and a career spanning the cultural spectrum have not glossed over her vulnerability or stopped her from telling it like it is. About Feeding My Mother, she is characteristically blunt. She does know life doesn’t slow down. Midway through Jann’s bestseller — spanning June 14, 2014, to February 1, 2017 — her father died. It was August 31, 2015. That house, just across the way, sits empty now. The thought of this is enough to make the rest of us howl, but for Jann there’s comfort in sharing what has happened, and how she’s feeling and dealing with it.At the same time, for countless others, there’s inspiration and affirmation in the continuing narrative and, especially, in the book of family stories she has shared. “I am truly moved that so many families are finding Feeding my Mother helpful in their own journeys,” she says. It’s certainly true for the woman at the checkout in an Ottawa bookstore. “I saw Jann Arden live once,” the lady gushes as she hands over a receipt, offering details about when — several years ago — and where: western Canada. Jann Arden has that kind of an impact. The eight-time Juno Award winner is a member of Canada’sWalk of Fame as well as a Member of the Order of Canada. She has fans all over the world, including over half-amillion followers on social media who keep tabs on her (or at least try to) for many reasons. Not only does she post on Facebook, Twitter and Instagram frequently, she also pops up in the most amazing places. For instance in May, when Meghan Markle walked up the aisle to exchange vows with Prince Harry at the Royal Wedding, there was Jann, a recipient of the Queen’s Diamond Jubilee Medal, on the scene in Windsor. Sitting next to CTV’s Lisa LaFlamme as her “sidekick,” the funny lady with the one-of-a-kind voice provided her insight and trademark hilarity as part of the liveTV special. In April, when former FBI director James Comey released his much anticipated book, A Higher Loyalty: Truth, Lies, and Leadership, its first chapter started with a citation attributed to the Canadian performer: To not think of dying, is to not think of living. “I am not sure what to think about that,” Jann confesses, adding she has no idea where he found the quote. “It’s the second or third time I’ve been quoted on that very line.For whatever reason, it resonated with him and I’m very touched by it.” The bonus? Comey, famously fired by Donald Trump, signed a book for her. “I may have to sell [it] someday to pay my taxes,” she quips.“I’m kidding. But maybe not.” Certainly, though, whether she’s in concert, on TV as a host, broadcaster and actor, or reaching audiences via social media, documentaries and books (she has written four so far), people are paying attention. Her trademark directness makes it hard to turn away.It’s also a huge part of her appeal. 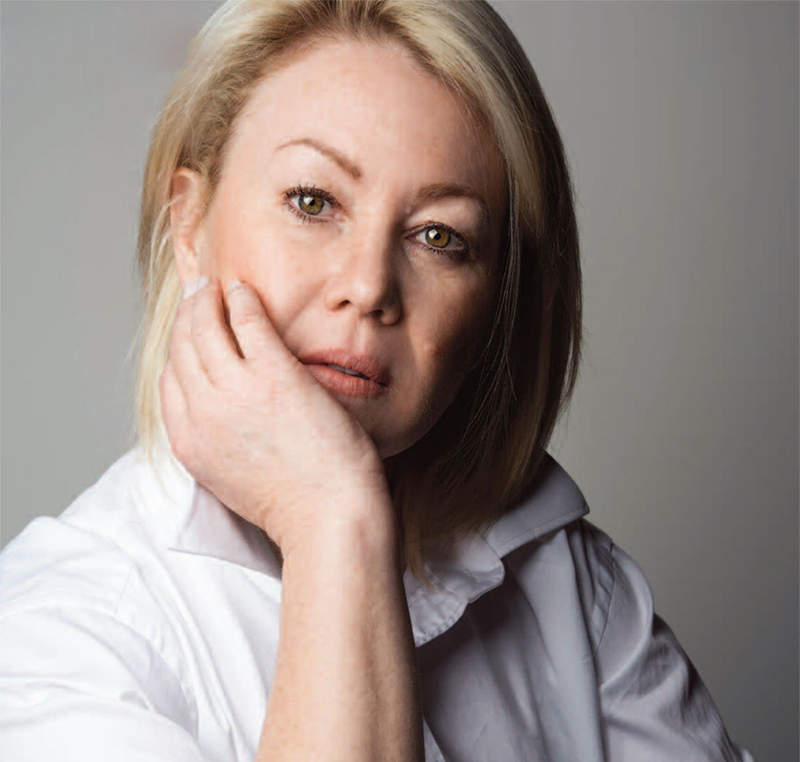 As CBC’s Tom Power put it following a radio interview with her in March, “I’m really grateful to Jann Arden for being honest. There’s something about someone being that honest about the hard parts in their life. It makes you feel like maybe the hard things in your life aren’t so hard.” Early days Jann Arden Anne Richards was born to Joan and Derrel Richards on March 27, 1962, in Calgary. She grew up as a middle child with an older brother, Duray, and a younger brother, Patrick.In 1971 the family moved to a place called Spring bank in the countryside west of Calgary. While there are many happy memories — she played hockey, hunted gophers, wandered freely — this wasn’t the Brady Bunch.Her father, an alcoholic, was unpredictable and volatile.The kids didn’t bring friends home. Instead,Jann stayed out of sight in the basement, where she learned to play her mother’s guitar. Despite a talent that was obvious early on, she struggled later with her own demons as a young musician and songwriter. She drank and caroused, fronting cover bands and performing in logging towns, then busking for change on the streets of Vancouver, where she was mugged. That violent experience was shattering. Thanks to a month spent as a deckhand on a small fishing boat, she detoxed, got her act together again, and eventually signed a record deal. The breakthrough came in 1993 with the release of Time For Mercy, her debut album featuring the hit singles I Would Die For You and Will You Remember Me. Even then, as her singing career was taking off, the family was in turmoil. Her big brother Duray was convicted of a 1992 murder and sentenced to life in prison. Still, true to her parents’ keep-on-keeping-on example, she persisted. One year later her second album, Living Under June, produced a half-dozen top singles including Could I Be Your Girl, Good Mother, and the number one hit Insensitive. She also collected three Junos, including Songwriter and Entertainer of the Year. 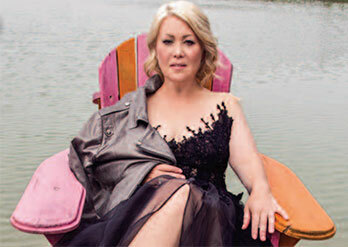 Since then Jann Arden has become Canada’s multimedia darling, tough times and all. Now, at an age when some people are starting to retire, she’s in her prime. In the past year, there have been several guest spots on TV shows, including a stint acting as the main character’s mother on the CBC sitcom Workin’ Moms. Part of that has to do with growing older — “I’m more sure of who I am and what I believe in.”— and part of it has to do with the recent, transformative experience of caring for her parents.“I had to figure out how to work through a lot of sadness. I had to learn how to not be angry all the time and scared and anxious and depressed. There were so many changes going on with my parents’ mental and physical health, it was overwhelming. Instead, she cooked for her mom and dad, spent time in the garden with them, learned to laugh when they laughed, and came to recognize the grace of her father appearing at the front door at 6:15 a.m.,ready for lunch. (She made him a grilled cheese sandwich and got him a glass of milk.) “I think I’m a much better version of myself that I was a few years ago,” she notes. “I’m more empathetic and more understanding and more patient. It takes a lot to make me mad or sad or frustrated these days and that’s a good thing.” While the days of feeding her parents have passed, the family bond is as strong as ever.When she’s home, Jann and her dog Midi go to see Joan at the residence three or four times a week.